The Greensboro Arm Wrestling League is pleased to announced its May 11, 2018 event, GRAWL Brawl XI: Prom Season, will benefit NCCJ of the Piedmont Triad’s teen program ANYTOWN. Tickets are one sale now. NCCJ’s mission is to build compassionate and just communities free of bias, bigotry and racism. It’s annual ANYTOWN program transforms young people into passionate leaders through a two-week experience in the mountains of North Carolina. 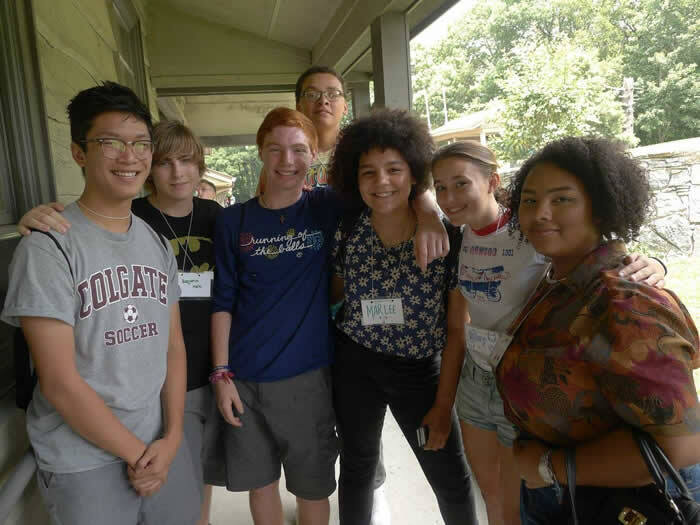 This leadership development program offers Guilford County youth an opportunity to live and interact with a diverse group of their peers, building a community based on inclusivity, respect, and understanding. By teaching young people to recognize and counteract the stereotyping and disrespect that can lead to bullying, ANYTOWN supports the mental and behavioral health and overall wellbeing of program participants and their peers. High School juniors and seniors will tackle questions about gender, race, religion, sexual orientation, gender identity, privilege, and more. Funds raised through GRAWL Brawl XI ticket sales and GRAWLbux purchases at the event will help fund scholarships for kids to attend the program. Please join us at 7 pm, Saturday, May 11 at Gibbs Hundred Brewing to support this great program.